Banco and PFM did it, so why not Ange? The world of rock music has always been dominated by the English language, and many of the bands who sing primarily in another language have seen fit to record English versions of their songs. The degree of success has varied, and most connoisseurs prefer the original versions, whether due to unpleasantly accented English or bad translations. 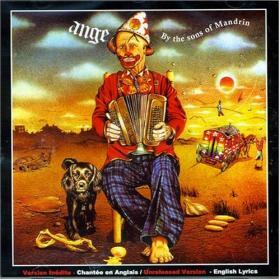 Back in 1977, Ange released an English version of their album Par les fils de Mandrin, but it has been unavailable on CD until now. The good news is that the translations, done by Michael Quartermain, are pretty good. They’re a bit pretentious, surrealistic, and cosmic, but the original French lyrics are all those things as well. The bad news is that Chirstian Décamps’ accent is quite heavy, sometimes mangling the English to the point where you have to read along to know what he’s singing. On the spoken parts however, the accent is rather engaging. Quartermain himself handles some of the spoken bits, and his British accent (though he has a pleasant voice) seems out of place. Still, I find this an enjoyable twist on an old favorite, though your tolerance for accented English will determine your reaction. And for another twist on the same set of songs, Musea is also providing a full live version recorded when the material was fresh. All the songs are varied from the studio recordings – some longer, some shorter – and both performance and production are first-rate. Two non-Mandrin tracks are included as a bonus: perennial favorite “Exode” from Au-delà du Délire (which was not included on the band’s 1977 live album Tome VI) and the wonderful long track “Le Vieux de la Montagne” which to my knowledge has only been released as a bonus track on the CD of their first album. 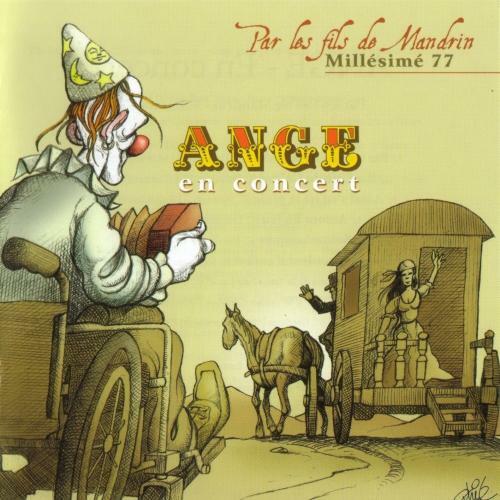 This live release is an essential addition to the history of France’s foremost symphonic rock band.